Helena was born at Buckingham Palace, the official royal residence in London, on 25 May 1846, the day after her mother's 27th birthday. 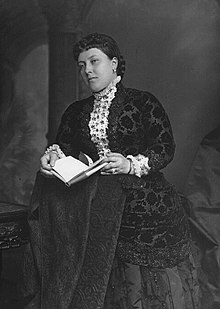 She was the third daughter and fifth child of the reigning British monarch, Queen Victoria, and her husband Prince Albert of Saxe-Coburg and Gotha. 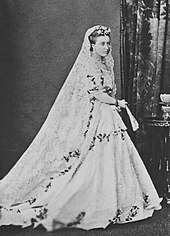 Albert reported to his brother, Ernest II, the Duke of Saxe-Coburg and Gotha, that Helena "came into this world quite blue, but she is quite well now". He added that the Queen "suffered longer and more than the other times and she will have to remain very quiet to recover." 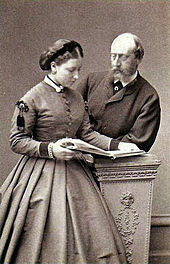 Albert and Victoria chose the names Helena Augusta Victoria. The German nickname for Helena was Helenchen, later shortened to Lenchen, the name by which members of the royal family invariably referred to Helena. As the daughter of the sovereign, Helena was styled Her Royal Highness The Princess Helena from birth. Helena was baptised on 25 July 1846 at the private chapel at Buckingham Palace. Her godparents were the Hereditary Grand Duke of Mecklenburg-Strelitz (the husband of Queen's cousin); the Duchess of Orléans (for whom the Queen's mother the Duchess of Kent stood proxy); and the Duchess of Cambridge (the Queen's aunt). Helena had a firm interest in nursing, and was the founding chair of the Ladies' Committee of the British Red Cross in 1870, playing an active role in recruiting nurses and organising relief supplies during the Franco-Prussian War. She subsequently became President of the British Nurses' Association (RBNA) upon its foundation in 1887. In 1891, it received the prefix "Royal", and received a Royal Charter the following year. She was a strong supporter of nurse registration, an issue that was opposed by both Florence Nightingale and leading public figures. In a speech Helena made in 1893, she made clear that the RBNA was working towards "improving the education and status of those devoted and self-sacrificing women whose whole lives have been devoted to tending the sick, the suffering, and the dying". In the same speech, she warned about opposition and misrepresentation they had encountered. Although the RBNA was in favour of registration as a means of enhancing and guaranteeing the professional status of trained nurses, its incorporation with the Privy Council allowed it to maintain a list rather than a formal register of nurses. In 1917, in response to the wave of anti-German feeling that surrounded the war, George V changed the family name from Saxe-Coburg and Gotha to Windsor. He also disposed of his family's German titles and styles, so Helena and her daughters simply became Princess Christian, Princess Helena Victoria and Marie Louise with no territorial designation. 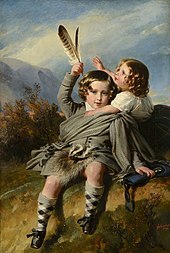 Helena's surviving son, Albert, fought on the side of the Prussians, though he made it clear that he would not fight against his mother's country. 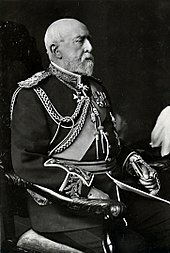 In the same year, on 28 October, Prince Christian died at Schomberg House. Helena's last years were spent arguing with Commissioners, who tried to turn her out of Schomberg House and Cumberland Lodge because of the expense of running her households. They failed, as clear evidence of her right to live in those residences for life was shown. Princess Helena, Princess Christian of Schleswig-Holstein, died at Schomberg House on 9 June 1923 at the age of 77. Her funeral, described as a "magnificently stage-managed scene" by her biographer Seweryn Chomet, was headed by King George. The regiment of her favourite son, Prince Christian Victor, lined the steps of St. George's Chapel at Windsor Castle. Although originally interred in the Royal Vault at St George's on 15 June 1923, her body was reburied at the Royal Burial Ground, Frogmore, a few miles from Windsor, after its consecration on 23 October 1928. ^ When King George V dropped the royal family's German names, styles and titles in 1917, the couple simply became Prince and Princess Christian with no territorial designation. ^ "No. 20626". The London Gazette. 28 July 1846. p. 2754. ^ "No. 20627". The London Gazette. 30 July 1846. p. 2789. ^ a b c d Van der Kiste, John. "Princess Helena". Oxford Dictionary of National Biography. Retrieved 28 January 2008. ^ "No. 23140". The London Gazette. 17 June 1866. p. 4092. ^ "Registration of Nurses". Royal British Nurses' Association. 2008. Archived from the original on 2008-02-09. Retrieved 2008-02-21. ^ "Royal Burials at St George's Chapel, Windsor". St George's Chapel at Windsor Castle. 2008. Archived from the original on February 10, 2008. Retrieved 21 February 2008. ^ "A Message from the President". Royal British Nurses' Association. Archived from the original on 2018-05-24. Retrieved 24 May 2018. ^ "No. 22956". The London Gazette. 11 April 1865. p. 1985. ^ "No. 24539". The London Gazette. 4 January 1878. pp. 113–114. ^ "No. 26725". The London Gazette. 27 March 1896. p. 1960. ^ "No. 30730". The London Gazette (Supplement). 4 June 1917. p. 6685. ^ "British Royal Cadency". Heraldica. 2007. Retrieved 29 February 2008.